I will never claim to be a huge fan of the Mighty Morphin Power Rangers. That was something my brother liked when we were kids. I was more of a Sailor Moon and Teenage Mutant Ninja Turtles fan. I never got past the whole heads bouncing up and down to talk, the terrible lip syncing, as well as those robot fights that had a lot of energy but never had any weight behind them. 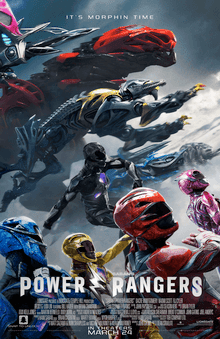 Truthfully, “Power Rangers” does seem to serve a purpose when you take this all into account. It is a franchise that is loved by many people, but whose quality (what little of it there was) has gotten stale and outdated. It is not a concept doomed to fail, and updating it could very well be what the franchise needs to become relevant again. Alas, by the time the movie was over, I found the film to have the exact opposite problem of the show, and in attempting to fix what was broken may have made the product all the worse in the process. 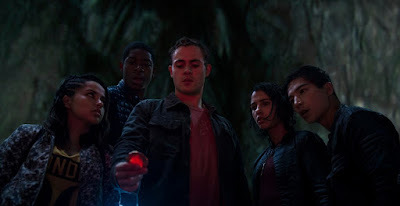 The story: a group of five kids come together through strange circumstances and find that they have been transformed into superheroes known as Power Rangers. They now jump very high, are super strong, and have giant robots they can control with no military training. 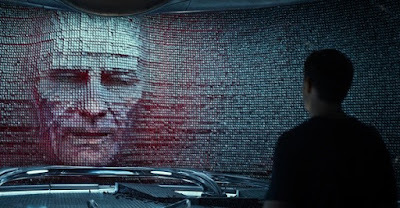 They do have a problem morphing into the Power Rangers with their super suits, but Zordon (Bryan Cranston) assures them that with proper training – and their hearts being in the right place – that problem will eventually be solved. The group in question are teenagers named Jason, Billy, Trini, Kimberly, and Zack. They are your garden variety selection of diversity you find these days. The kids represent Asians, blacks, Autistic, LGBT, and (a rarity these days) the straight white guy. Clichéd casting aside, it should be noted the characters are pretty good and the actors are doing a lot with what they are given. 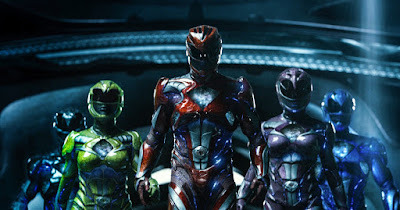 RJ Cyler as Billy the Blue Ranger may have a future in movies after this franchise is done. His character is one that could have easily gotten annoying early on, but he is the one we come to love the most, as most people with Autism have this strange way of growing on you the more you spend time with them. I must give credit to the producers: they did hire kids who knew they should take this seriously (because their careers might depend on it). 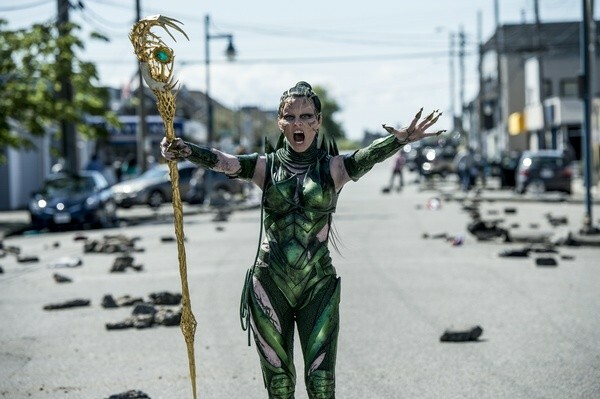 On the other hand, then you have an established actor like Elizabeth Banks playing the evil Rita Repulsa, who spends most of the movie snarling and growling in a very cartoonish way, as if she forgot the memo that this was going to be released in theaters, not on Netflix. 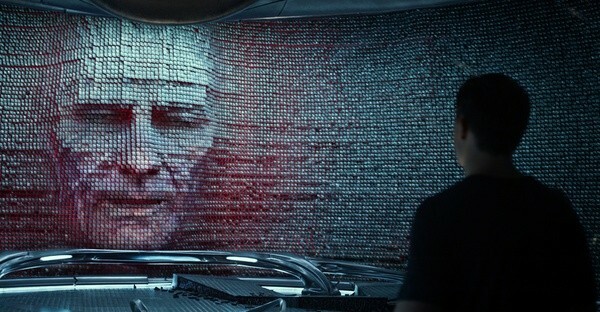 Bryan Cranston brings the seriousness level back around with his facial performance of Zordon. What confuses me most about the movie is that it is certainly taking itself more seriously than the show did. I hesitate to call it a “dark” movie, but it isn’t nearly as goofy in execution as the source material was. That is fine when the kids are just being kids because we can take them seriously. Where it becomes a problem is when the character morph into the Power Rangers because the movie then demands to be silly, and yet it wants us to take what is happening seriously. I’m not sure I am personally capable of being able to watch a gold monster fight a dinosaur robot and still have a straight look on my face. After the movie was over I was still unsure whether or not my experience was supposed to be legitimate or if I wasn’t having the kind of fun I was supposed to be having. Parents, unlike the TV show, this movie version is pretty violent at times and is too intense for some kids. There is also some bad language and mature themes throughout. Recommended for ages 12 and up.